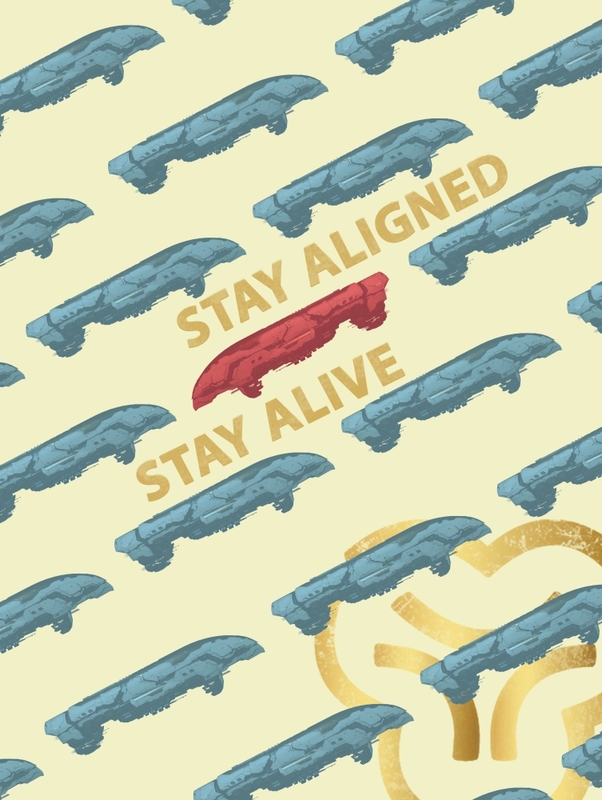 EVE Online Poster Contest – The Results! 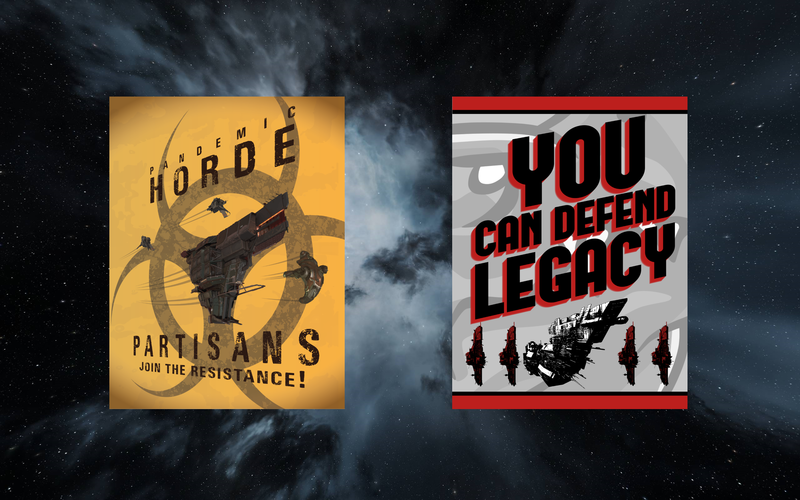 On July 11th the EVE Online Poster Contest began. Since then we’ve had a plethora of entries, some of them outstanding and some of them questionable in terms of their content. The contest closed at the end of July, and we’re now here to reveal the winners, but this time around there’s a twist. While we’re awarding a first, second and third prize, we couldn’t decide between two posters for first prize. We had two entries we really liked the look of that were also both very relevant given the current ongoing conflict in New Eden, so we’ve decided to award them both joint first place, with two others taking second and third place as normal. This means that we’ll duplicate the first-place prize and award both winners. For reference, the prizes are listed in the announcement blog here, and we'll be contacting winners within the next 10 working days in order to arrange delivery of prizes! 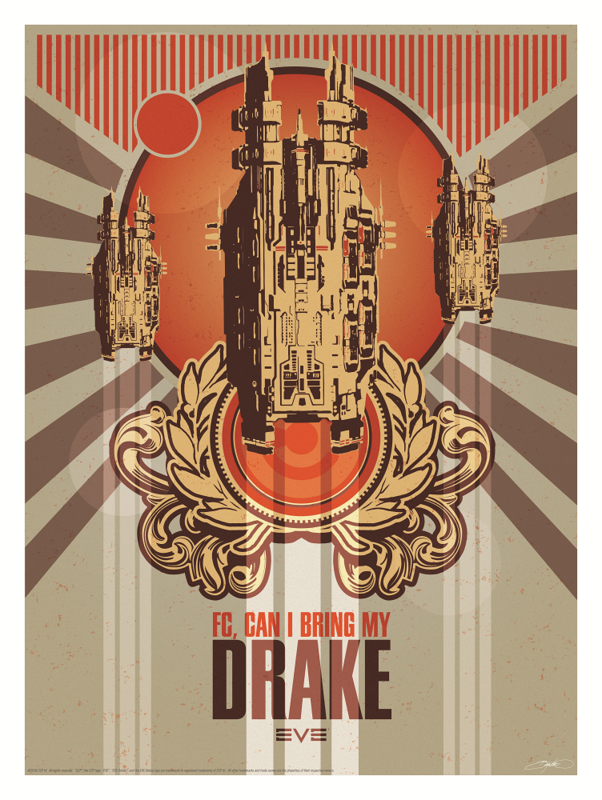 Can I Bring My Drake? Congratulations to all those who took part in the contest, there were some amazing designs this time around. We can't wait to see the two winners in print at EVE Vegas 2018! If you haven't already, head on over to pick up your tickets as soon as you can, before they sell out!